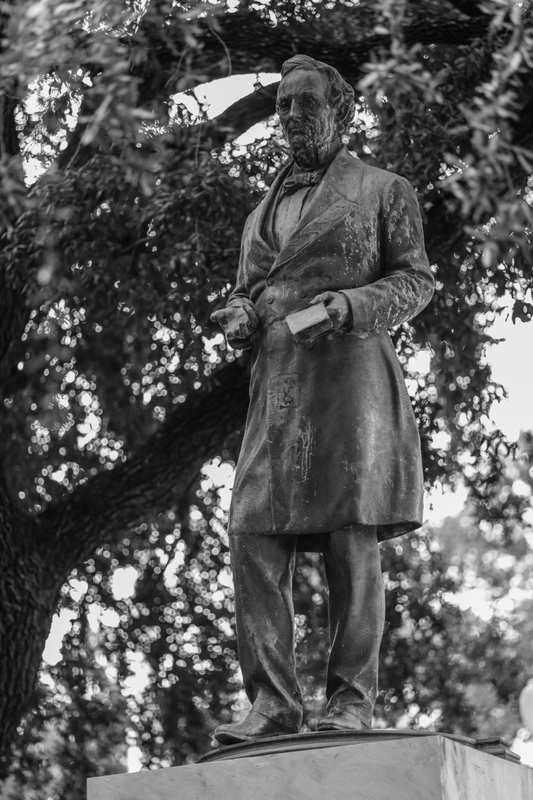 Standin' Up For 'Merica series documents numerous confederate sympathizers, slaveowners, as well as opponents of desegregation at the University of Texas at Austin campus in 2016. 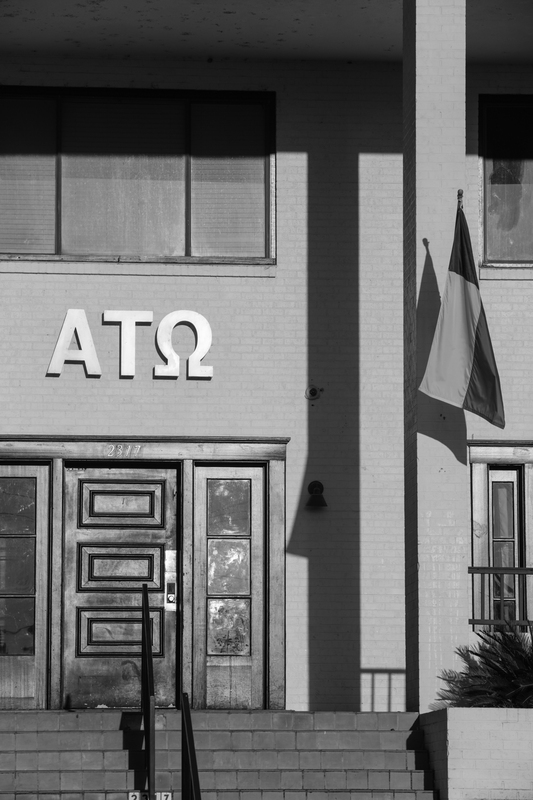 The fraternities included in the series have held racially themed parties that, while controversial, received minimal attention or discipline on the part of the University of Texas. 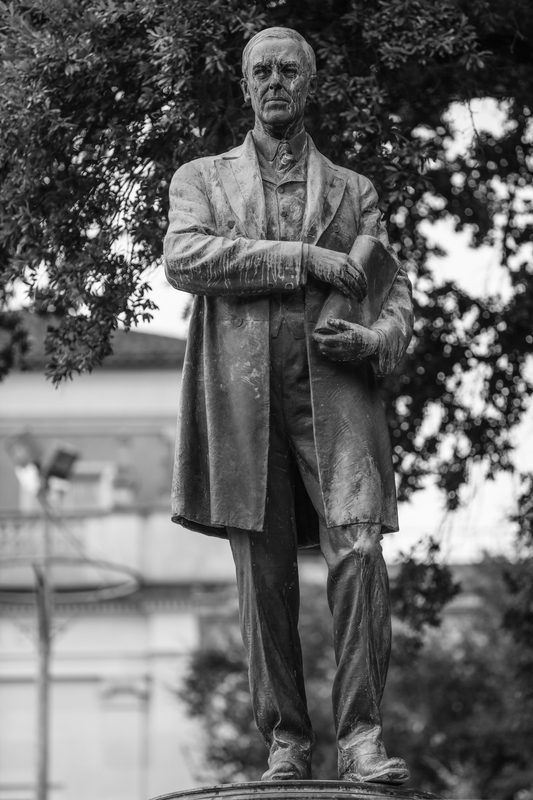 Hailed by many as a liberal oasis in the otherwise extremely conservative state of Texas, my research began when I first heard about the Jefferson Davis statue-- the most infamous and well known figure on the campus. Later I realized that it was not an isolated symbol, but rather a pattern of celebrating figures from the confederacy, as well as those in opposition to desegregation efforts in a public, yet obscure manner. It is possible to walk by many of these locations without realizing who or what they stand for. My research and subsequent photographs serve to contextualize these people who are celebrated in one of the largest public universities in the United States. It is important to understand the people who represent the values and virtues the University of Texas wishes to uphold. 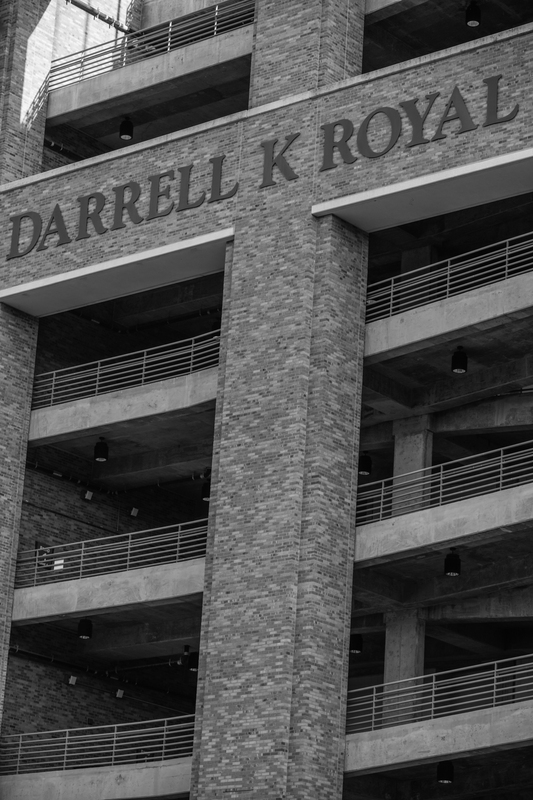 While they represent a part of history that should not be ignored or effaced, the lack of context and recognition on the part of the university is a vote of tacit support for these individuals. 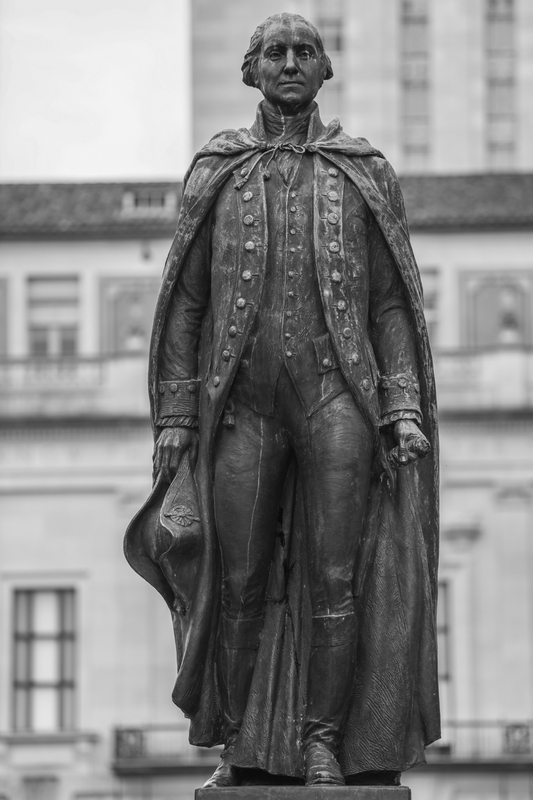 In 2015 the Jefferson Davis and Woodrow Wilson statues were removed due to public protest, but others remain. Many feel that they are historical artifacts that should be preserved and recognized as such. In a university that is noted for its diversity and multiculturalism, however, it is important to question who is being celebrated and why.